Ever wanted to see your face on the big screen at Wembley? You’re not alone! 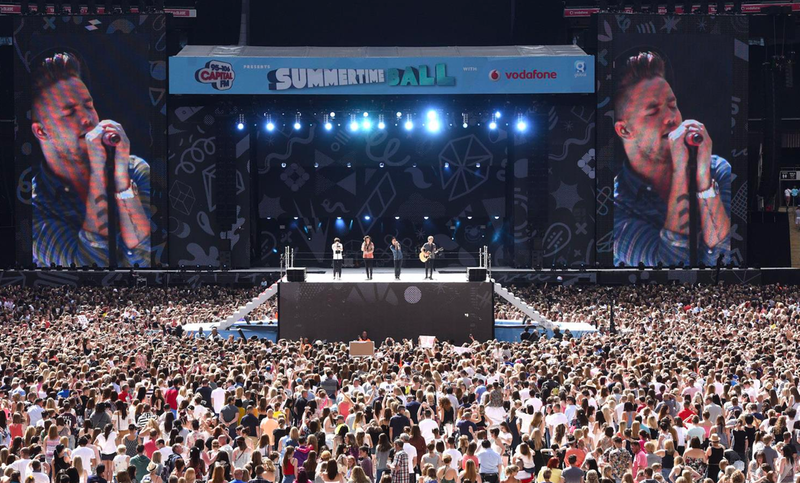 When we partnered up with Trigger Buzz at this year’s Capital Summertime Ball, we gave fans the chance to have their photos broadcast to millions of people across London, including across Wembley’s 1,500 screens. The Summertime Ball is Capital’s biggest event of the year, seeing more than 80,000 fans gather together to celebrate the latest music. So, when we were asked to help generate awareness, excitement, and engagement with the attendees, as well as people who couldn’t attend the event, we jumped at the challenge. 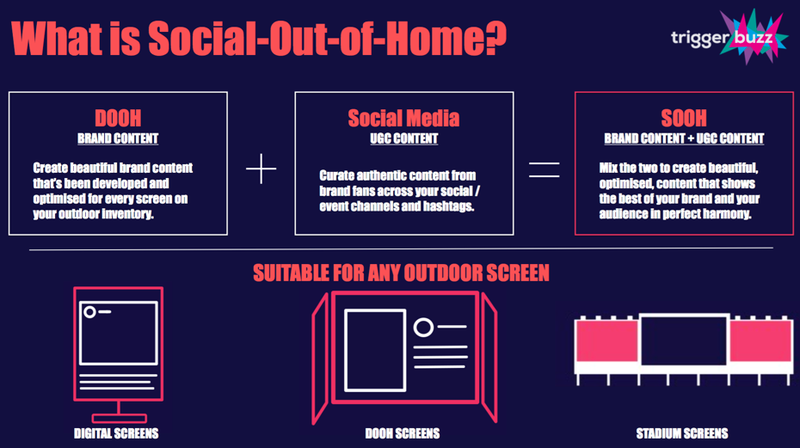 Together with Trigger Buzz we brought Social Out-of-Home content (UGC + branded content) to the masses. What is Capital's Summertime Ball? The Summertime Ball is an annual mini-festival in London run by Capital radio station. Every June, the biggest music acts of the moment hit the stage to perform for thousands of fans. This year, the likes of Little Mix, Tinie Tempah, Jess Glynne, Craig David, Flo Rida and Will.i.Am shared their songs with more than 80,000 people. And we were there to share fans’ experiences, bring special moments into the spotlight, and create a buzz around the sell-out event. 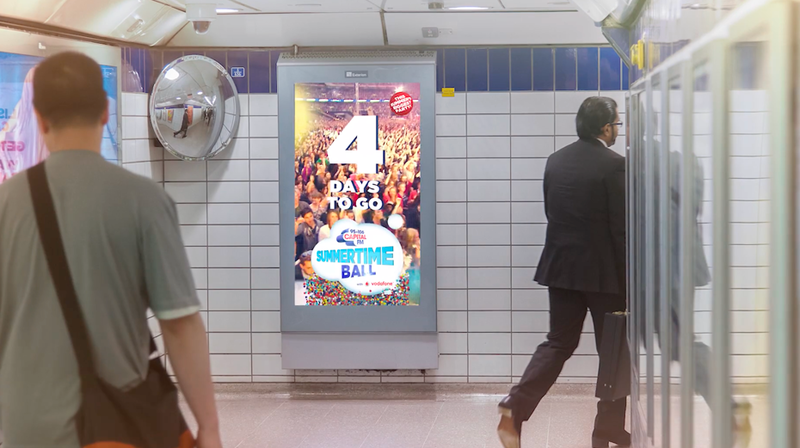 In the days leading up to the event, billboards across London showcased engaging videos counting down to the event to build excitement, but it was the day of the Summertime Ball where things really blew up. Throughout the show, we took over Wembley and London’s biggest and best digital outdoor screens and made attendees stars by delivering real-time brand stories and User Generated Content in an epic campaign that spanned London. 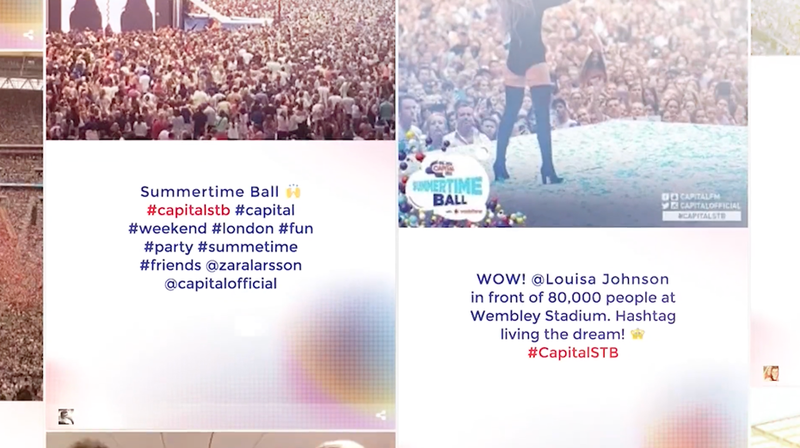 We encouraged the audience to share their moments and images using the hashtag #capitalstb which we projected onto the big screens using TINT. These were paired with behind-the-scenes shots from performers to bring attendees closer to the action and make non-attendees feel like they were there. Because we didn’t want anyone to feel left out. In fact, we encouraged non-attendees to get involved, too. This was an event for everyone. During the event, we generated a whopping 100,000 posts on social media under the designated hashtag. 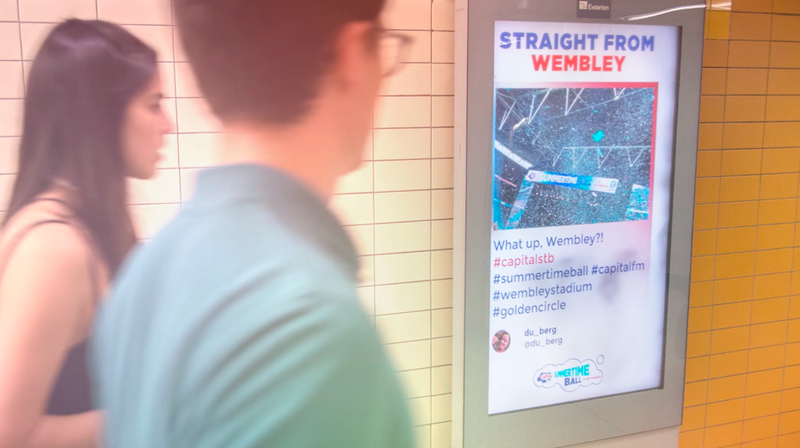 We then shared 135 of these key, user-generated moments with the rest of London via Wembley’s 1,500 screens, and on 70 screens across 21 tube stations in London. These community-driven posts were accompanied by exclusive branded content from Capital, creating a story of the day from both the perspective of the attendees, the performers, and Capital. 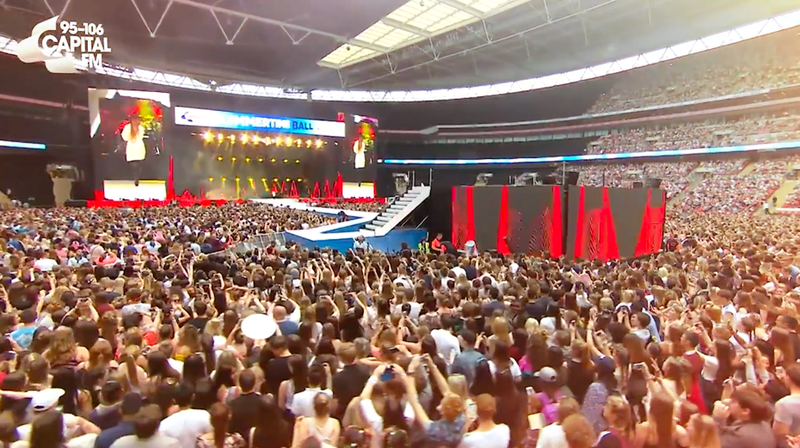 All in all, the content created during the Summertime Ball reached more than 45 million people, generating fan growth that was six times greater than Radio 1’s Big Weekend event. That’s no small feat. The social power of TINT was captured fully at the Summertime Ball. A designated hashtag created a community around the event, while the shared content from attendees and performers made everyone feel involved – not just because people could have their faces up on the big screen! One of our main goals was to generate excitement for people who couldn’t attend the event in person, which is why the TINT platform worked so well. With photos, videos, and content posted from fans, performers, and Capital themselves, non-attendees felt a part of the action and were encouraged to share their own thoughts and experiences of the show from further afield. These kinds of community-inspired cultural events lend themselves perfectly to social sharing and UGC. 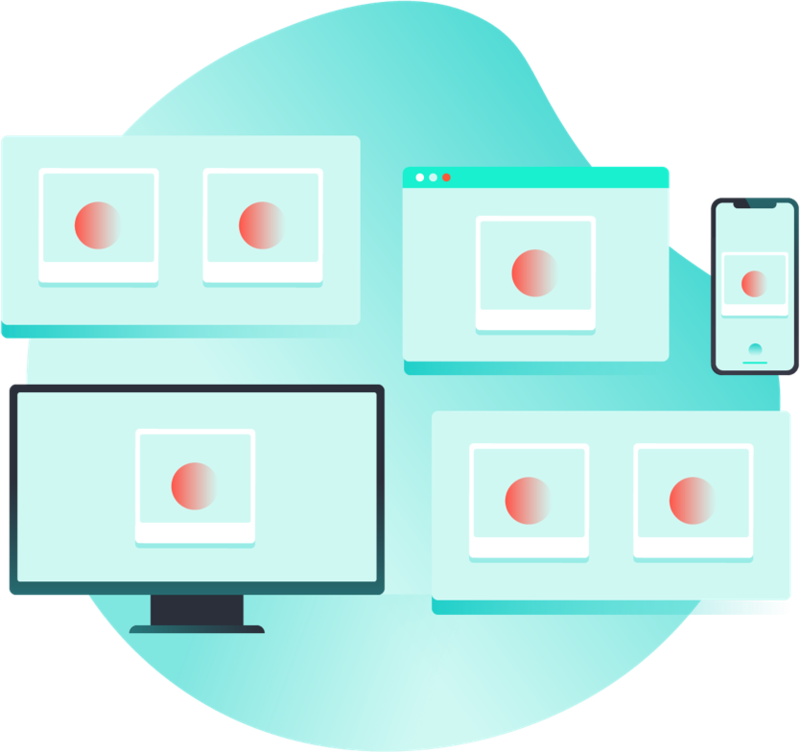 Attendees get to feel a part of the action, non-attendees can get a live view into what’s happening, and the hosting company – in this case, Capital radio station – get incredible amounts of exposure.